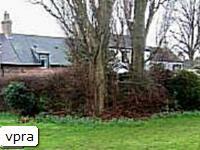 In our first year (2005) the efforts were concentrated around the Village Green,planting bulbs around the hedgerows to supplement the existing spring bulb displays. 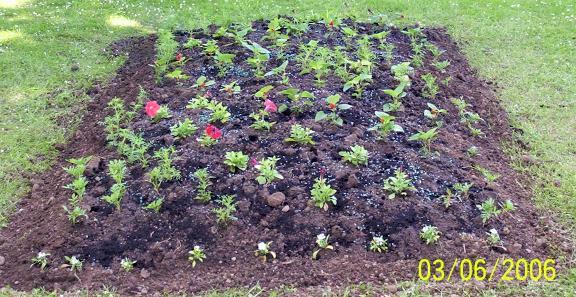 Summer 2006 we put in our new flower bed opposite the Jolly Farmers pub and had the hard task of keeping it watered during the hot June planting period.The cost for the plants was kept to a minimal as we did not know if it would be a safe place to plant.All the plants were home grown with some Salvia bought at a local car boot and grown on from plugs. 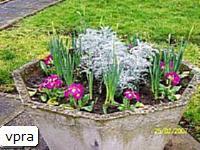 Autumn 2006 we began planting in a wider area. 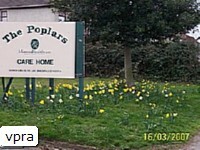 Because of the size of the area the VPRA covers we began by planting crocus,tulips and daffodils around the parking area opposite the Jolly Farmers.This was followed by daffodils in the green wedge in front of the Poplars Care Home and then onto the Airman Statue,planting bulbs around it and on the grass bank opposite.The day was finished off by planting crocus and daffodils on the lower Village Green around the approaches to the Social Club. 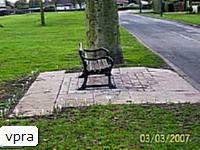 The next session took us to 2 very different parts of the area.The first was on the upper Village Green around Sundial Cottages where we planted large clumps of daffodils along the hedges.We planted crocus around the seats opposite and used up some remaining daffodils around the litter bins and lampposts. 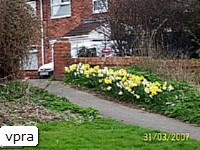 Then to the opposite end of our patch around Beechwood road and Chestnut grove estate.There are a lot of elderly folk in semi sheltered accommodation so we planted clumps of daffodils around all of the trees,lamposts and telegraph poles. 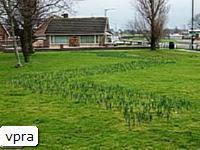 Next session we visited Parkview Nursing Home and planted 2 huge banks of daffodils and cleaned out all of their unused flower tubs and filled with daffodils.We also put a lot of daffodils inside the main gates of the Village Park mostly in small clumps to give the impression they are growing wild. 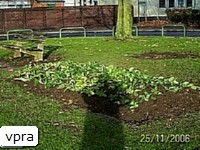 Our own“Midnight Gardener “spent many an hour in the dark planting daffodils around trees, lamp posts and road signs around the Thornaby road area. 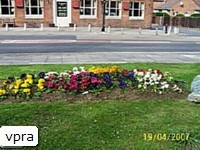 We received our primulas from Horticultural Services in November and planted the majority in the flower bed opposite the Jolly Farmers.The remainder were used to fill the big display tubs at Parkview Home with a dozen or so kept back to grow on in pots just incase anything went wrong with the main bed.These were needed as some kind person helped themselves to a few of each colour. 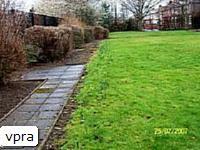 The residents at Parkview have asked me to write and thank the Village Park Residents Association for all the hard work and effort you have put into improving our gardens. The difference is amazing and we now have a much more pleasant and cheerful outlook, which is appreciated by all and commented upon by many. Our residents are now enjoying the gardens whenever possible, which hasn`t been too often over the last few weeks due to the terrible weather, although we did enjoy a BBQ last weekend; and managed to ensure that everything was adequately charred before the heavens opened at around 12.30! On a positive note all our lovely new plants seem to be thriving in the wet, although if it continues we may need to invest in a couple of Machetes! Once again, thank you all for your hard work. 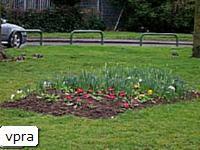 Watch out for our Green Thumb awards for the best gardeners in the Village area.